ADORABLE ranch style home located in the popular Valley Oaks Community! This home shows BEAUTIFULLY, and is a MUST SEE! Conveniently located to Seckman Schools, Mastodon Park, HWY 55, Old 21, and local shopping. Whats not to love? Step inside to your open, and inviting floor plan FEATURING, vaulted ceilings, bay windows, entry foyer, plush carpeting, and wood burning fireplace. Entertain in the comfort of your SPACIOUS living room, or simply enjoy meal time in your COZY eat in kitchen. BEAUTIFUL dark cabinetry with crown molding, granite, and a set of complimentary appliances to remain. Relax in your 3 season room with stunning panoramic views. Main floor Master Suite comes with luxury bath, and main floor laundry to boot. 3 car garage, culdesac setting, super sized back yard, large deck are all added perks this MAGNIFICENT home has to offer. 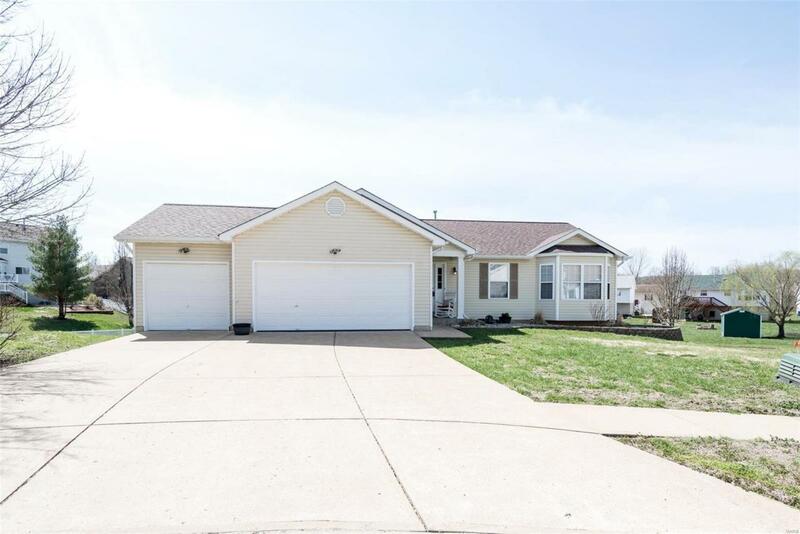 Partial finished LL with walk out provides added living space, with bonus room that could easily be used for sleeping quarters, or office space.